Co-Optimus didn't get to check out PAX East this year in full, so we missed the unveiling of Saints Row IV. The game was on display on the show floor with a hands off demo which showcased all of the game's new features. Lucky for us, Deep Silver have released the entirety of the demo in video form and put it on the interwebs - isn't technology grand? While things start off innocently enough it doesn't take long to see Saints Row IV continues to push the envelope in ridiculousness. We see two new weapons which cause hilarious effects - one gun blows people up (like...with air) while another makes everyone dance to dub step music until they collapse. Most realistic game ever? After that we get a glimpse of our super powered presidential hero as he leaps, flies, and sprints his way through a Steelport filled with strange aliens. 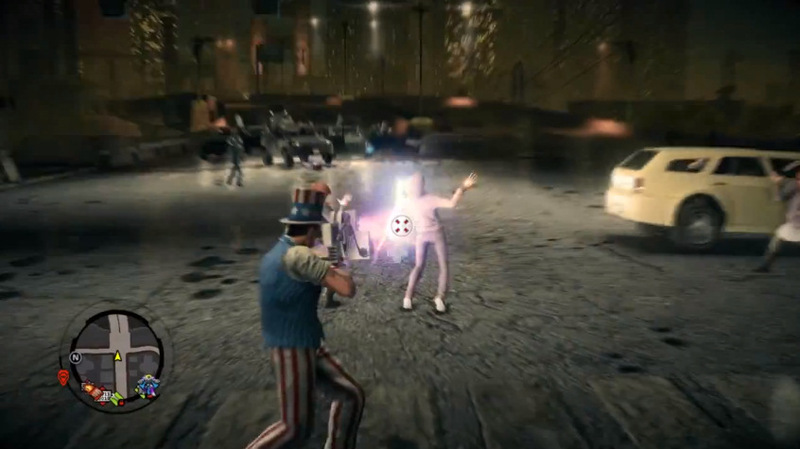 While there's no co-op on display in the video, we can easily imagine the hilarity that is going to ensue once we invite a buddy to play in Saints Row IV's online co-op. Saints Row IV is out on August 20th on Xbox 360, PlayStation 3 and PC with two player online co-op.